From the NWAFS newletter archives! This is a reprint of an articles by "The Editor" (Daryl Brender with the Eastern Washington State Crime Laboratory) February, 1977, Volume III, Issue I. The color scheme is in three parts; Gold meaning Science, Blue meaning Truth, and Purple meaning Justice. The four pictures of equal balances are the Scales of Justice, The Torch of Knowledge, The Microscope denoting Criminalistics or Forensic Science and The Fasces the Symbol of Authority. The Association's name is part of the Logo and the pharmaceutical symbol ϶ denotes the association as having scruples. From documents provided by Dan Alessio the Logo was designed in the winter of '72-'73, by John Anderson, Gaylan Warren and Bob Sager. The scruple, represented by the symbol ϶, is from the Apothccarics system of weights which was common to Pharmacists and Physicians who were in practice before the 1900's. 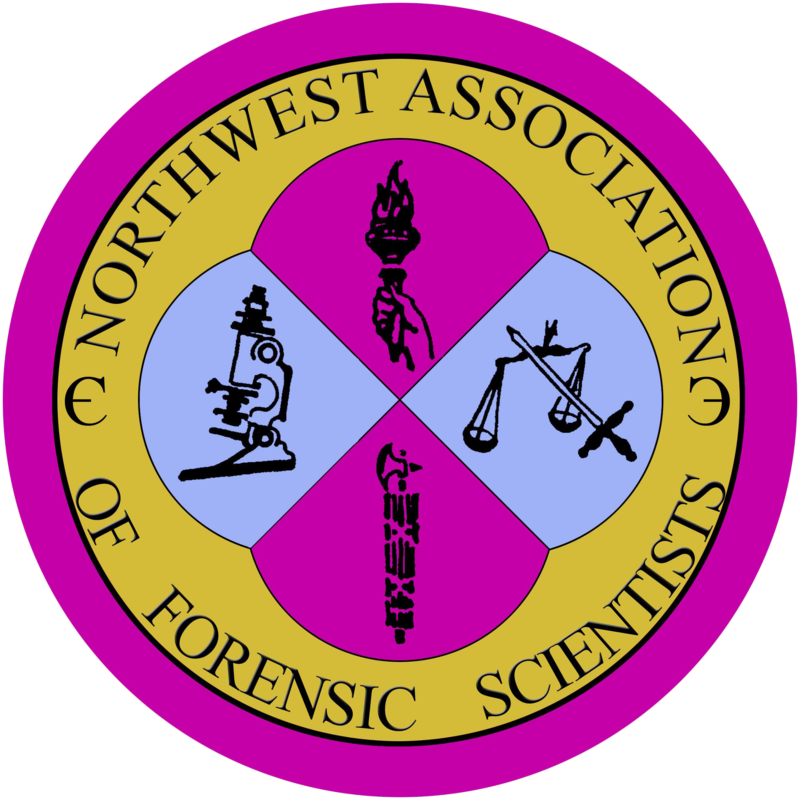 On April 6th - 8th, 1972 the first meeting of the Northwest Association of Forensic Scientists was held in Spokane, Washington with 17 people in attendance. To encourage the dissemination of information within the fields of forensic science and to discuss problems of common interest. To foster friendship and cooperation among forensic scientists. To stimulate research and development of new techniques within the field. Membership is limited to persons of professional competency, integrity and good moral character who are actively engaged in the application of natural sciences to the examination of physical evidence involved in legal problems. The NWAFS currently has over 280 members that reside in areas of the Pacific Northwest along with California and parts of the southwest such as Arizona and Texas. We even have members as far east as Maryland!